A clever and delightful design. One of Eero Aarnio's first designs. The fibreglass and vivid colors make the mushroom stools a shining eye-catcher in every space - indoor or out! Original design imported from Finland. The Mushroom is a nice completion to the famous fibreglass designs like Pastil and Ball Chair. 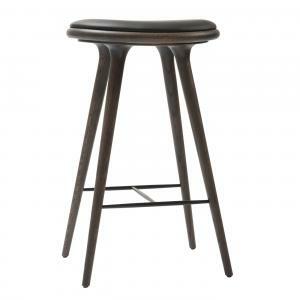 Use it as a stool or a small table. Combine it with your Tomato Chair or place it in your bathroom. Aarnio: "My first commercial design idea was a cane stool which I wove myself in 1954. In 1960 I expanded it into a whole family of products and found a manufacturer in Hong Kong. The first fibreglass samples of these stools were produced in the 70's, and the actual production did not start until in the end of the 90's. 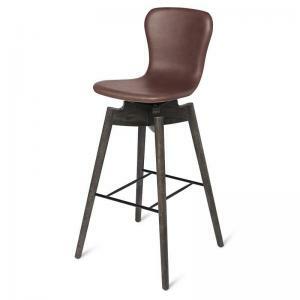 The name of the cane stool was MUSHROOM in the US market, and because the fibreglass version is the same product, as far as shape, dimensions and function are concerned, they were given the same name." Color samples available by request.